Despite being a common hedging herb in many gardens, few people use this amazingly aromatic herb in the kitchen. I urge you to learn to love this herb, and embrace it in all of it's woody, earthy, aromatic fullness! Dry on the bench, or store in the fridge in a sealed container/bag. Spike meat, poultry and game with rosemary - alternatively, chop it and use in stuffings and sauces for fish, lamb or chicken. Add to olive oil, to create an aromatically infused and versatile olive oil. Great for salads! Potatoes potatoes potatoes! Chop and sprinkle, and pop in the oven for some crispy, rosemary, potatoey goodness. It is perfect with strongly flavoured meats like goat and lamb, or sprinkled on top of foccacia. And lastly, pop some in a cup and make a soothing, relaxing cup of tea before bed! 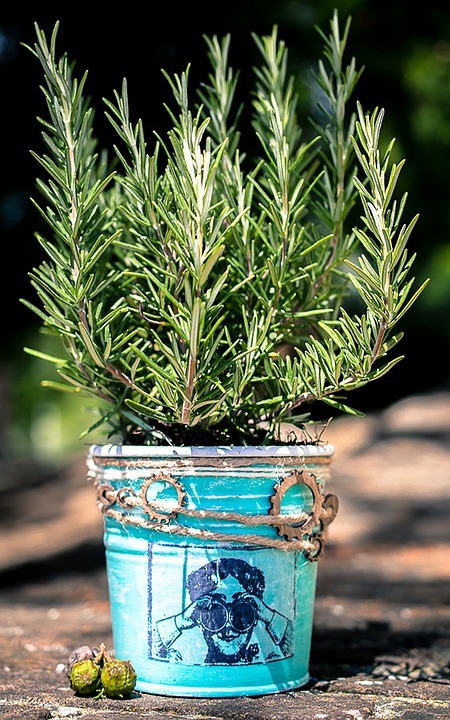 Rosemary (or rosa del mar - Rose of the Ocean...I learnt this from an old Italian farmer in the Swan Vally!) is notorious for it's health benefits, including containing antioxidants and anti-inflammatory compounds; improving digestion; enhancing memory and concentration; and neurological protection...I've talked myself into it, I'm off to make a cuppa! Chop leaves finely if not using the entire sprig.